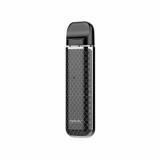 Smok Novo Pod Starter Kit, which is powered by built-in battery that has 450mAh capacity, can be easily used just by inhaling. It comes with several protections to ensure safety. Novo Pod Starter Kit, which can automatically start when air comes in, can be eaily used with no key or button. It comes with built-in battery that has 450mAh capacity and ergonomical mouth piece with excellent tactile impression. It will flash to indicate that voltage is lower than 3.3V and rotary top ensures easy and convenient refilling. Also multiple protections can ensure safety and high performance. The portable ensures that you can put it in your pocket. 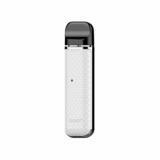 • Three-month warranty for NOVO Battery and Pod. Wow...!!! I NEVER THOUGHT THAT MY ORDER HAS ARRIVED IN JUST ONE WEEK!!!! !I bought the items as the website looks very legit and the price are very reasonable. However, after placing my first ever order, I got quite worried if the website is legit. I went online and started doing some research on the website and to be honest, I got mainly good review and some bad ones, mostly about the shipping time and in one case, the customer did not receive the items! I thought that I was going to get ripped off...but in the end, I received the items. So far, I have ordered a total of 3 times in a week. Thanks BuyBest for your service! KEEP IT UP!!! Thank you!!! This product is excellent. Very flavorful. Some liquid can get the pod flooded. So make sure to check out the right VG/PG of the liquid. And if you do... You will not be disappointed! The pink Smok Novo Pod is so beautiful, I bought it for my girlfriend, she likes it very much. The smok Novo Pod was just as expected. This rainbow kit absolutely is worth our favour. It really surprised me with its price and its high performance. It is small and compact, but it is convenient and it has lots of functionality. I certainly will not hesitate to recommend it to everybody. 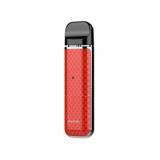 the smok Novo Pod Starter Kit is a very safety device,i have viewed several sites but all smok device have a reasonable price at buybest. this smok starter kit can automatically start when air comes in, can be eaily used with no key or button.fast delivery! This rainbow kit indeed looks fancy and fashionable. Lots of protection measures have been taken to ensure its safety.